Before finding out who makes the best crossbows nowadays, let’s have a short run of history. It is also good to learn a thing or two where it came from aside from learning just how to shoot it. Crossbows appeared long before Jesus Christ, but in Europe they started playing a significant role in the end of middle Ages. In fact, they stated the dawn of the chivalry: crossbows were able to pierce armor of knights easily from a distance of 150 meters. Wounds they made were so horrible that Catholic Church proclaimed crossbows as unfair weapons and forbade to use it. Still, crossbow plays its role in the modern warfare. Due to latest developments, it became quiet and light, sometimes it can be also folded. In World War II, Germans used crossbows as rocket launchers. We have also compiled a list of the top crossbow picks. 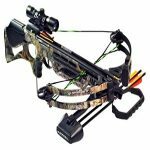 It will show you the best crossbows to choose from right now. 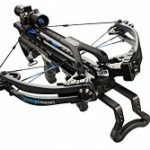 Barnett Crossbows is a US company and this is by far, the most popular crossbow maker in the world. Reason? Well, they provide weapons with the best value for money. If these are not the best crossbows ever made, then the best among the most affordable. You can get a reliable weapon for $700-800. Their Barnett Ghost 410 CRT Crossbow is frequently considered to be the best crossbow in the world: light, 400-feet-per-second (FPS) firing velocity (usually it’s around 350), quiet and for a fair price of around $900. Barnett Crossbows is one those companies which offer a 5-year warranty, a rare case actually as most companies only over a year. The main disadvantage of Barnett’s production is considered to be the materials they use – some claim that they are of worse quality than the crossbows of TenPoint or Excalibur and tend to break more frequently, for example, in times of blank shot. However Barnett, in any case, is a solid and clever choice. 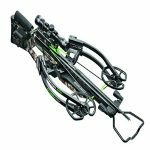 TenPoint is another company from USA, but with another perspective on crossbow production. Here, quality takes the first place as this is the most reliable crossbow maker on the market; the classic one. Construction of their weapons is so good that in most cases, the company gives a lifetime warranty for any detail that avoids any mechanical influence and 5-year warranty for any other. One of the their most-known products is TenPoint Stealth SS – really compact and light (33,5 inches and 6,8 pounds) weapon with strong characteristics, which costs around $1200. Yes – that’s the main con of TenPoint’s production – they offer probably the most expensive crossbows in the world. It’s also been said that quality of their production decreased since 2004, but it’s still a very respectable company. Excalibur is Canadian crossbow maker and they are doing their best for more than 30 years now. Their production can be characterized as a blend of high quality and high price and they are best known for their recurve crossbows. Their crossbows are known for accuracy and for many years, they’ve been taking first prizes at international competitions. They are simple to learn and are popular among hunters and villagers. A reasonable crossbow can cost around $850. One of the most popular is a recurve Excalibur Matrix 380, small, quiet and very deadly (380 FPS) for a fair price of $850. Some say that the draw weight is usually too high (200-260 pounds) but it depends on the model. Anyway, Excalibur provides solid, reliable weapons, not some funny toys for masquerade. Carbon Express is famous, first of all, for producing arrows and bolts. 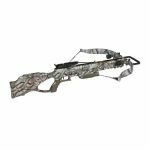 The main point of Carbon Express production is that it’s really customizable and adjustable; as the company offers a huge variety of accessories to make usage of crossbows easier for everyone. Costs are not that high and the middle price can be around $700. These weapons are good for hunting and have 5-year warranty. Taking a look at one of the finest examples, Carbon Express Intercept Supercoil, one can notice that it’s fast, powerful and accurate and costs $650. Speaking of disadvantages, it takes a long time to assemble and has a lower quality, comparing to brands already considered. Not the most popular, but a good brand for beginners is Arrow Precision. Their production is quite cheap and can be a good investment if you want to know how it feels to shoot a crossbow. Prices are no higher than $500. Their most popular model is Arrow Precision Inferno Fury that costs around $170. This will be enough for a small hunting game. 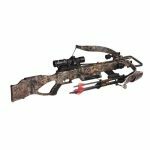 Materials are good: crossbow is quite durable and light and this is the best you can get for this price. However, velocity is quite low – only 235 FPS, and arrows are not top-quality, so no big-game-hunting with this. We’ve taken a small look at different brands: the most popular, most reliable, most affordable. 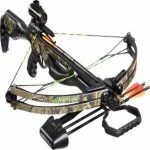 I hope that this will help you in choosing the right crossbow and following your “call of the wild”. 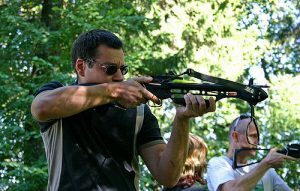 Always remember, a crossbow is a serious weapon and one should follow all the safety instructions and recommendations. Have fun shooting!